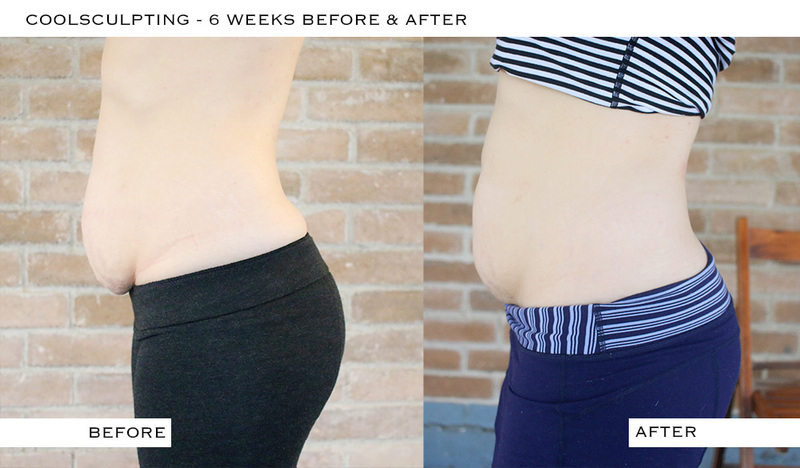 UPDATE: Almost 2 Years later & I’m trying CoolSculpting again, see my newest post here. So here I am 6 weeks after having CoolSculpting. 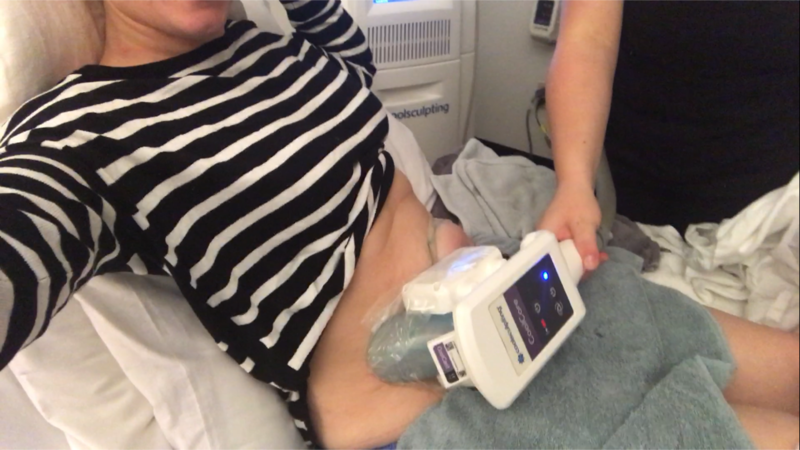 I thought I would check in since some many people wanted to know if it has started to show results, if I’m trying to lose extra weight & if any other side effects occurred after my first blog post about CoolSculpting. The only side effect I experienced was numbness of the areas for about 3 weeks after I had my CoolSculpting done. Mostly in the lower areas of my abdomen that I had done. I haven’t pushed myself to cut calories, exercise regularly or anything that would give me more of a showy after. I plan to try to get a bit more regular with exercise after the new year (along with 95% of the population) but I’m showing myself grace right now. So here are my pictures 6 weeks in, I’m happy to see that c-section scar shelf getting smaller. The fat that had collected there is slowly going away & creating a smoother area. So here’s a quick update on this, I’ve had so many wanting to see results. But I’m at the point where they are just now expected to show up. Full results won’t be in until February. So hang tight! Excited to see your next results. I get my first session today! Looking forward to seeing the end result. Are you having more than 1 treatment? Awesome! you are going to look marvelous darling when it is complete. How many treatments did you get done.